Expertise and experience are what patients expect in a plastic surgeon. The following demonstrates Dr. Panchal to be more than capable to handle your medical needs. Dr. Jayesh Panchal has been a plastic surgeon since 1997 and has been in private practice in Edmond since 2005. He was previously on the faculty and the Chief of Plastic Surgery at the University of Oklahoma Health Science Center from 2003-2005. He has years of training and certification, has received national and international acclaim and is a pioneer in the field. Just as important are the qualities that go beyond those found on a resume: discretion, gentleness, trustworthiness, personality, friendliness and listening skills. Dr. Panchal is passionate about helping people gain their self-confidence and their self image, so they can live life in a normal, happier way. A portion of his practice involves small children and correcting birth defects or complications from rare diseases. The compassion he demonstrated to the little ones and to the parents transcends into his adult practice now. This is the foundation of his practice, and he brings with that years of experience. Certified by the Board of Plastic Surgery in England in 1995, with a specialized fellowship at St. Louis Children's Hospital. His emphasis was on cleft lip, cleft palate and craniofacial surgery. He has a master's degree in business administration from Price Business School at OU. Pioneered new techniques in the management of plastic surgery and of sleep apnea in infants with a small jaw, receiving national acclaim. Dr. Panchal has been selected to the prestigious "Super Doctor" elite club. Dr. Jayesh Panchal has also been voted "Best of Best in OKC" for 2011 by the Oklahoman Magazine. 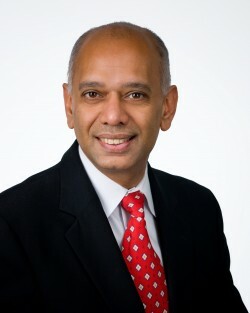 Dr Panchal was also nominated "Top 5 Cosmetic Surgeons in OK" by Daily Oklahoman 2012 Readers Choice Awards. He has also received the Junior Investigator Clinical Research Award. Genesis Plastic Surgery & Medical Spa was named Best Place to Get Cosmetic Surgery in Oklahoma Gazette's Best of OKC in 2011 and 2013. This award reflects the difference a particular physician has made in the lives of his/her patients. The honor is bestowed to physicians who have received near perfect scores as voted by patients. You will love Dr. Panchal!! Would you like your doctor to be on time and be compassionate and listen to you? Visit Genesis Plastic Surgery & Medical Spa in Edmond or Norman, Oklahoma, or call us in the OKC area at 405-340-9949 today. See full resume for Dr. Jayesh Panchal.